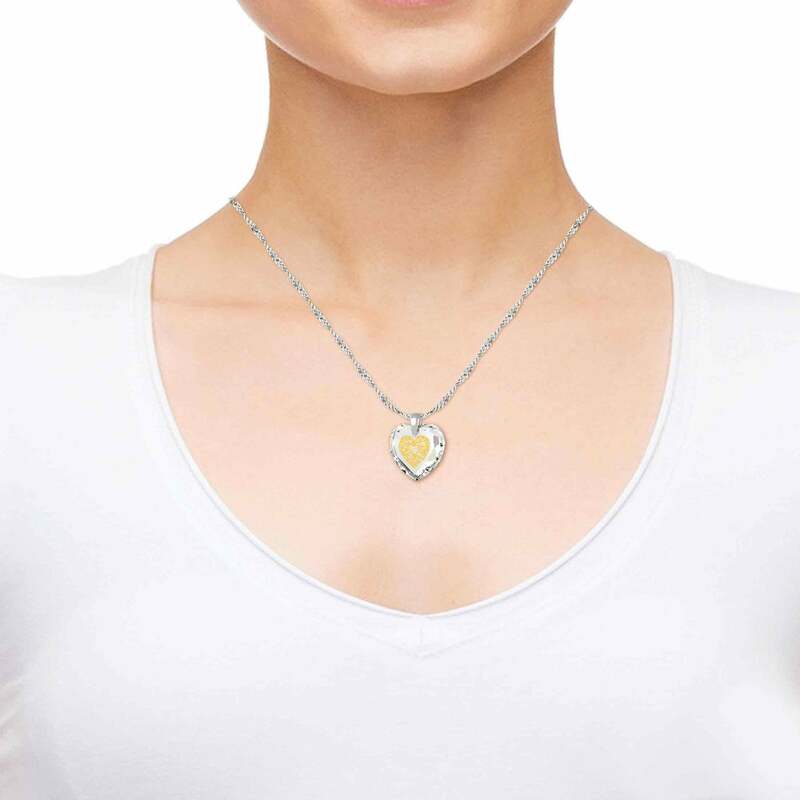 Sweep her off her feet with this 14k white gold necklace! When faced with the dilemma of picking out the best anniversary gift for wife, a couple of things are true regardless of what you end up gifting. Your present needs to be considerate, elegant and have meaning deeper than its shiny veneer. 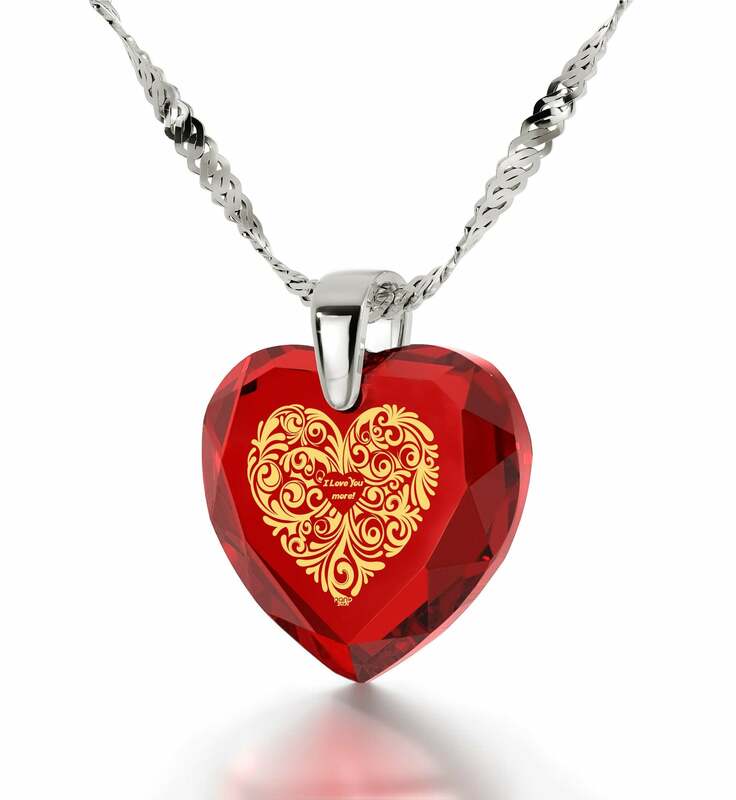 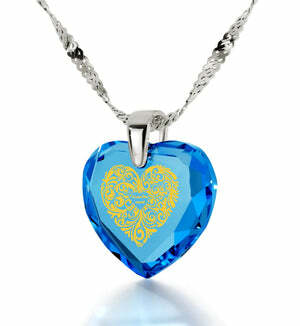 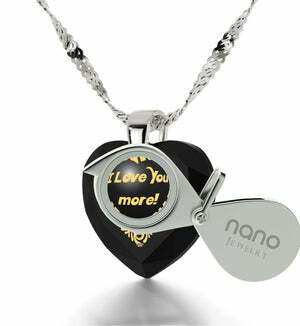 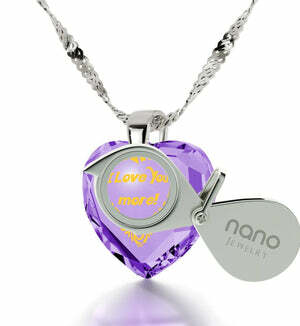 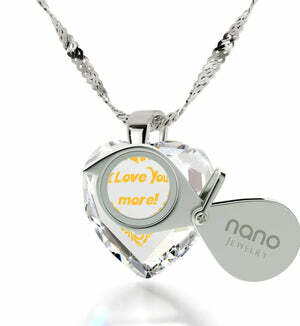 This is why an I love you more gift in the form of a cute necklace for her is the ideal solution for both of you! A subtle blend of elegance and superb craftsmanship, this one-of-a-kind unusual necklace will compliment her style and is fit to wear proudly on any occasion. Its dainty golden chain goes hand in hand with the radiant cubic zirconia gemstone suspended from it, but that’s just the tip of the iceberg! 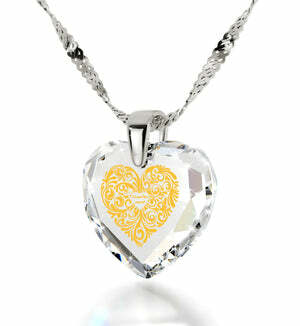 The real eye-catcher lies inscribed on the stone with 24 karat pure gold. The inscription will last forever and is truly unique since no one but Nano Jewelry has the know-how to make such intricate and detailed text possible. Say what you want, but other womens gifts can’t even come close. 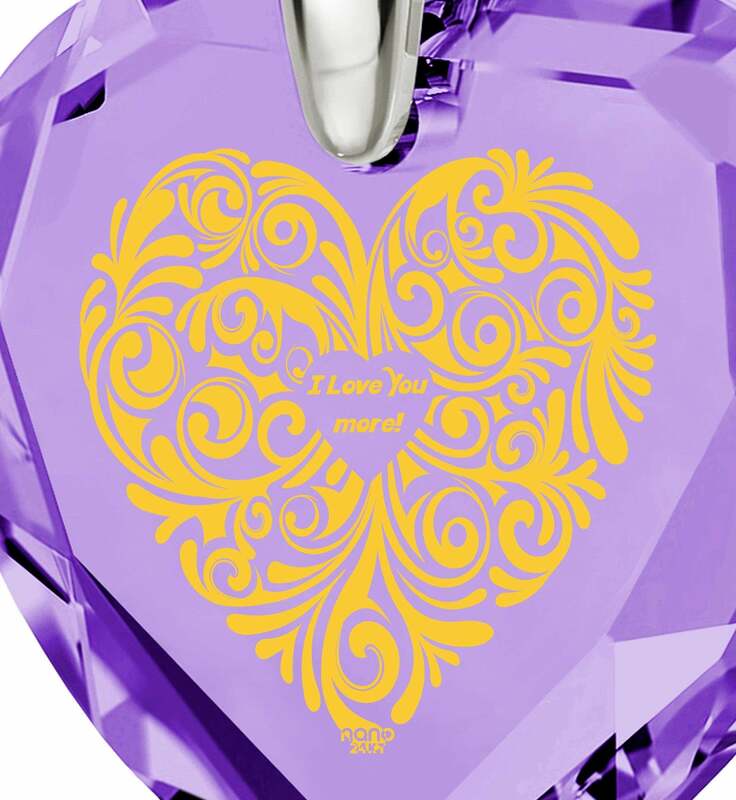 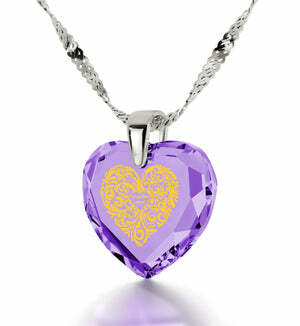 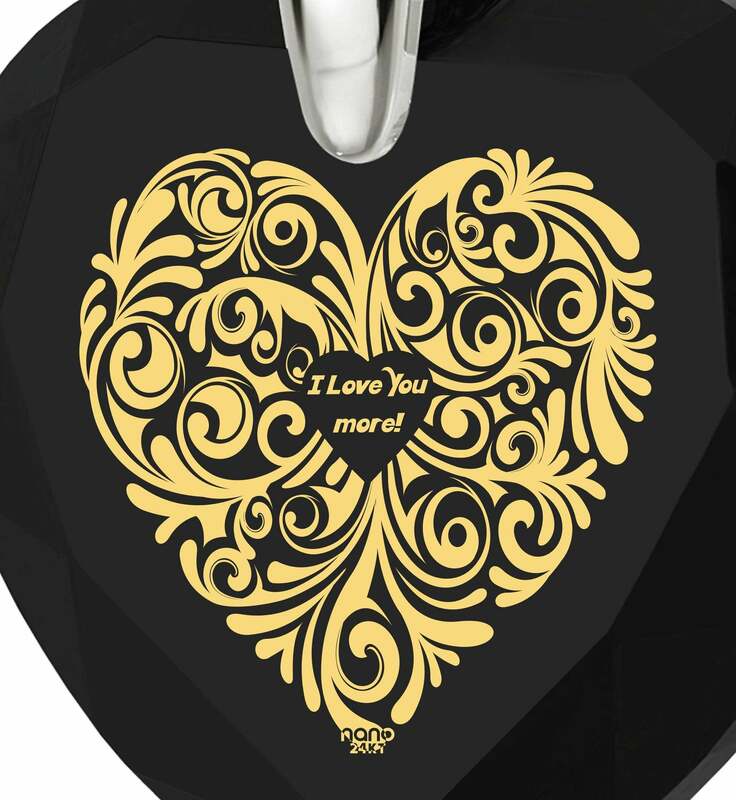 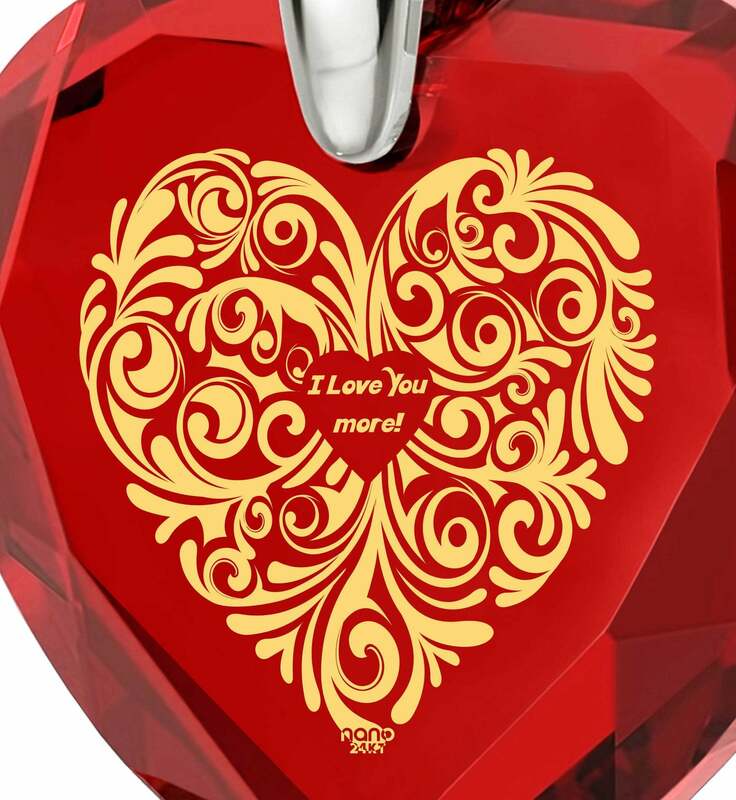 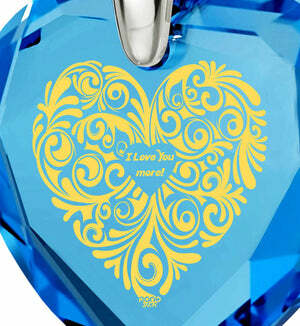 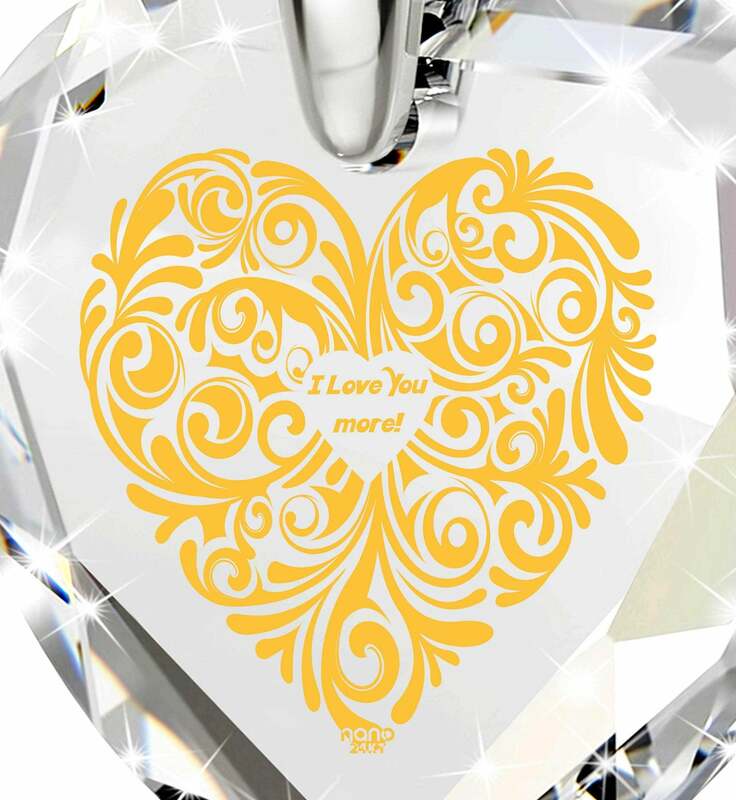 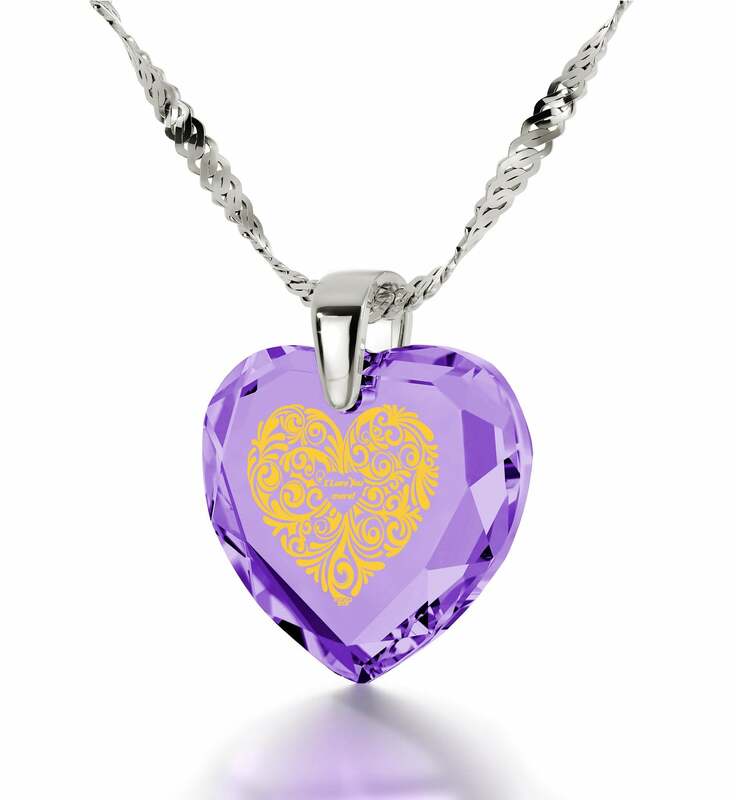 Inscribed is a complex floral pattern with the words “I love you more” at its heart. Untangling all the vines and leaves it has to offer will be fun for her with the help of an elegant magnifying glass we’ve included as well. 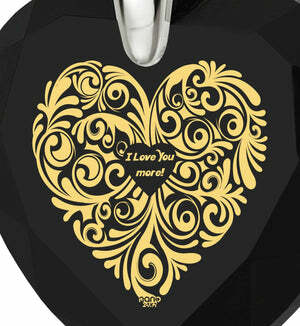 It wouldn’t really be a good anniversary gift for her without a stylish box to come in, would it? 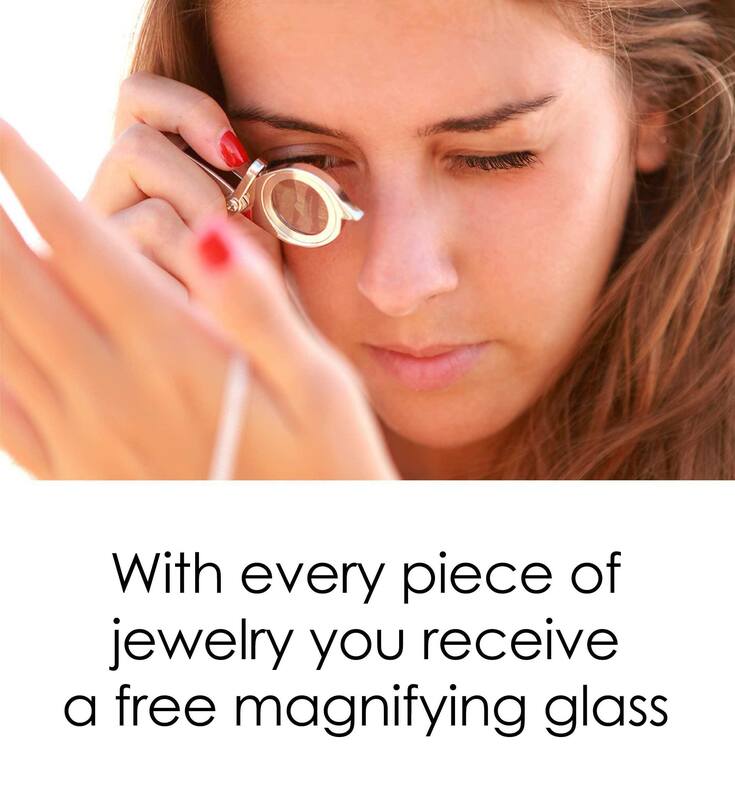 No worries, we’ve taken care of that as well. 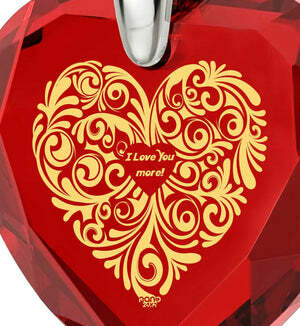 All that’s left is for you to set the right mood and make this gift the highlight of an unforgettable celebration.